Cláudia Ribeiro Bellochio holds a PhD in Education from the Federal University of Rio Grande do Sul (UFRGS). Her dissertation, which was presented in 2000, was entitled “Music Education in the First Years of Elementary School: analyzing and building along with the teachers’ routines”. Cláudia is a professor within the Undergraduate and Graduate Program areas at the Federal University of Santa Maria in Rio Grande do Sul state, Brazil. In the Undergraduate Program, she concentrates her work on training future music teacher both for general education and for the education of disabled children. She also works at the Music Education Laboratory – LEM and is the leader of the research group called FAPEM (Training, Action, and Research in Music Education, CNPq), in which her focus is on preparing teachers and their educational practices. She holds a scholarship for research production awarded from CNPq. She is a member of the Music Education Brazilian Association (ABEM) as well as of the International Society of Music Education (ISME). In the past, she was the editor of ABEM Journal, and is currently the President of the Editorial group for the same publication. She is a member of the editorial boards of the Brazilian Journal of Education (RBE) and editor of the Education Journal (UFSM). Shelly Cooper has 22 years of public school experience (Arizona, Colorado, and Kansas) and is currently a professor at the University of Arizona. As a researcher and general music specialist, Cooper has presented at numerous local, state, and national music and general education conferences and in-service workshops. She currently serves as editor for General Music Today, book/media review editor for the Journal of Historical Research in Music Education, and serves as a board member for the Arizona Kodály Teacher's Society. She is the current chair of the National Association for Music Education (NAfME) History Special Research Interest Group (SRIG) and the Western Division Representative for the NAfME Early Childhood SRIG. At the University of Arizona, her teaching responsibilities include undergraduate and graduate music education courses. She is a recipient of the University of Arizona’s “1885 Society Distinguished Scholar.” She also serves as area coordinator for music education and director of the Desert Skies Symposium on Research in Music Education. She teaches Kodály certification courses at Arizona State University and the University of New Mexico. Dr. Cooper's research interests include music acquisition in early childhood, children as composers, and historical aspects of music education. Her work is published in the Journal of Research in Music Education, Journal of Historical Research in Music Education, Contributions to Music Education, General Music Today, The Mountain Lake Reader, and Perspectives: Journal of The Early Childhood Music & Movement Association. Cooper was a contributing author for the 2005 Silver Burdett Ginn's Making Music series and the 2012 text series Interactive Music powered by Silver Burdett/Pearson with Alfred. She has numerous choral arrangements published with the Hal Leonard publishing company. Gordon Cox studied at the Royal Academy of Music, London, and taught for some years in England and Canada. He received his MA in Folklore from Memorial University of Newfoundland, and his PhD in music education from the University of Reading. He retired in 2007 as senior lecturer in music education at Reading. His main research interest is in the history of music education, and his books include A History of Music Education in England 1872-1928 (1993), and Living Music in Schools 1923-1999 (2002). 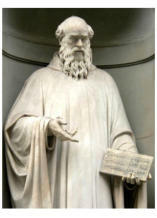 His most recent publication is The Origins and Foundations of Music Education (2010) / The Origins and Foundations of Music Education: International Perspectives (2n edn, 2017), co-edited with Robin Stevens, which arose from a symposium organised by the History Standing Committee at the ISME conference in Bologna in 2008. Gordon has presented papers and organised symposia at the ISME World conferences in the UK (1982), South Africa (1998), Norway (2000), Spain (2004), Malaysia (2006), Italy (2008), and China (2010). He has also presented at the ISME Research Commission meetings in Coral Lake, Magaliesburg, Salt Lake City and Gothenburg. He is a former co-editor of the British Journal of Music Education, and currently a member of a number of editorial boards. Alexander J. Cvetko is a professor of music education at the University of Bremen. He studied music and history at the University of Osnabrück, where he completed his teaching degree for secondary schools instruction. There he received a doctoral degree in historical music education with a dissertation on the philosopher Johann Gottfried Herder. After a two year teaching traineeship he taught not only music but also history for three years at a secondary school with musical focus, while acting as a teacher-trainer. He completed four years as a post doctoral research assitant at the University of Siegen with a habitation treatise entitled “Geschichten erzählen als Methode im Musikunterricht” (Storytelling as a method in music lessons), in which he merges historical and empirical research studies – an innovative research method in music education. Other main areas of focus lie in interdisciplinary research of historical tradition in the instruction of music at a secondary school level, intercultural music education and the advancement of research methods in historical music pedagogy. During the past years he was the chairman of different associations, particularly of the German Assocation for Research in Music Education (AMPF), which is known for its international outlook. Alicia Cristina de Couve graduated as a music educator from the National Conservatoire of Music (Argentina) and as Professor of Pedagogy from the John F. Kennedy Argentine University. She also holds a Bachelor’s degree in History from the Argentine Catholic University, and a Post-Degree Certification in Educational Reseach from Dr. Joaquín V. González Higher Institute of Professorship. She currently teaches Educational Policy, Didactics and Teaching Practice at Buenos Aires City’s Astor Piazzolla Higher Conservatoire of Music. Her publications include co-authored research reports and articles published in The Bulletin of Historical Research in Music Education, Arts Education Policy Review, International Journal of Music Education, Boletín de Investigación Educativo-Musical (CIEM, Buenos Aires) and The Origins and Foundations of Music Education (Continuum, 2010/11). Luciane Wilke Freitas Garbosa was awarded a PhD degree in Music (Music Education) from The Federal University of Bahia. Her thesis, presented in 2003, addressed music education in relation to German immigration to southern Brazil during the 1930s. Her thesis was entitled “Es tönen die lieder … An analysis of music teaching in German-Brazilian schools in the 1930’s based on two selected cancioneiros”. She holds a teaching position at the Federal University of Santa Maria (UFSM) in Rio Grande do Sul state, Brazil. She is in charge of preparing future music teachers for general education as well as for education of disabled children. Her research work is undertaken within the Music Education Laboratory - LEM located in the Education Center. Also, she is a deputy leader of the FAPEM research group (Training, Action, and Research in Music Education, CNPq). Her focus within this research group is on the historical context of music education in Brazil. She is the coordinator of PIBID-Musica (Program of Scholarships in Teaching) from UFSM, a member of the Brazilian Music Education Association (ABEM) and the International Society of Music Education (ISME). She was also President of the Editorial group of ABEM Journal from 2009-2011, and the editor of Music in the Elementary Education (MEB) journal. She is currently the editor of ABEM Journal. Alan Gazzano completed graduate courses in music education at Buenos Aires City’s Astor Piazzolla Higher Conservatoire of Music and received his Bachelor's degree in piano performance from the Instituto Universitario Nacional del Arte (IUNA). He has been coached by international pianists and pedagogues both in Italy and South America. He currently teaches piano and music theory lessons in the Argentine capital, and belongs to the staff of the City Conservatoire. His research fields include music education, Latin-American arts, linguistics and immigration-related studies in several languages, with a special focus on the Italian heritage abroad. Jere Humphreys served in the U.S. armed forces reserves and taught in the public schools of Mississippi, Huntingdon College in Alabama, and at West Virginia University. Since 1987 he has been a professor of music at Arizona State University, where currently he teaches music education foundations, research, and sociology of music. He has advised dozens doctoral dissertations and master’s theses nationally and internationally, several of them award winners. A versatile, prolific scholar with more than 175 publications, he has delivered lectures, keynote speeches, and other presentations in more than 30 countries on six continents. He has served as the contributing editor for music education and on the senior editorial board for the New Grove Dictionary of American Music (2d ed. ), a section editor and author for the Oxford Handbook of Music Education, editor of the Journal of Historical Research in Music Education, and member of the editorial committees of over a dozen education, music education, and music therapy research journals. He has been a visiting lecturer/professor/endowed chair resident in several universities and countries, an academic specialist for the U.S. Information Agency, and a Fulbright Senior Scholar and Fulbright Senior Specialist. He received the prestigious Senior Researcher Award from MENC: The National Association for Music Education, an MENC Citation of Excellence in Research, and a Distinguished Service Award “for exceptional contributions to scholarship” from the MENC History Special Research Interest Group. He has held leadership positions in numerous professional and community organizations, including current service on the boards of directors of Habitat for Humanity Macedonia (co-founder), American Civil Liberties Union of Arizona (vice-president), Arizona Chapter of the Fulbright Association (co-president), and University of Michigan School of Music, Theatre & Dance Alumni Governing Board (member). As a construction team/house/block leader for Habitat for Humanity since 1998, Humphreys has led over 30 house builds in metropolitan Phoenix and at Jimmy Carter blitz builds. A native of Tennessee, he holds degrees in music education and clarinet performance from the University of Mississippi, Florida State University, and the University of Michigan. Christian Onyeji holds a Doctor of Music degree from the University of Pretoria, South Africa. He specializes in research-composition, a composition approach that applies ethnomusicological procedures. He is a researcher on African music and composes from the African stock. He has composed for symphony orchestra, drummistic piano style, solo voice and choral compositions. He has scholarly works in journals such as Ethnomusicology, International Journal of Music Education, Journal of the Musical Arts in Africa, Muziki, Journal of the International Association of Sound and Audiovisual Archives, and in PASMAE publications. He has contributed to World Carols for Choirs and Anthology of Piano Works by Composers of African Descent, published by Oxford University Press. Christian Onyeji is a Professor of Music in the Department of Music at the University of Nigeria, Nsukka Enugu State and also a Research Fellow of the School of Music, North West University in South Africa. Prior to that, he was the Head of the Department of Music, University of Nigeria, Nsukka, Enugu State, Nigeria from 2005 to 2007. He is has been a Visiting Professor and Head of Department of Music, University of Uyo, Uyo Akwa Ibom State, Nigeria. He joined ISME in 2002 and has attended ISME conferences regularly. He was on the Programs Committee for the 2008 ISME World Conference in Bologna, Italy and the 2010 World Conference in Beijing, China during which he reviewed over 150 paper submissions. He is a member of the Pan African Society for Musical Arts Education (PASMAE). Claudia Dal Pino graduated as a music educator from the National Conservatoire of Music (Argentina), as Professor of Pedagogy from the John F. Kennedy Argentine University, and received a Bachelor’s degree in Music Teaching from CAECE University. She also completed a Master in Didactics of Music at CAECE University and holds a Post-Degree Certification in Educational Research from Dr. Joaquín V. González Higher Institute of Professorship. She currently teaches Research Methodology at the Instituto Universitario Nacional del Arte (IUNA) and Educational Policy, Didactics and Teaching Practice at Buenos Aires City’s Astor Piazzolla Higher Conservatoire of Music. Her publications include co-authored research reports and articles that have been published in The Bulletin of Historical Research in Music Education, Arts Education Policy Review, International Journal of Music Education, Boletín de Investigación Educativo-Musical (CIEM, Buenos Aires) and The Origins and Foundations of Music Education (Continuum, 2010/11). Following twelve years as a music specialist in secondary schools in the Wellington region, David Sell was District Music Adviser in Canterbury, a position that he held for two years before being appointed lecturer in music at the University of Canterbury. In his twenty eight years on the full-time staff he rose to reader/associate professor, served two terms as Dean of Music and Fine Arts and was eight years Head of the School of Music. Since retiring, he has continued as a part-time lecturer, specialising in music education. David was for eighteen years on the Board of the New Zealand Society for Music Education (now MENZA), was inaugural president, and is a current committee member of the Society for Music Education (Canterbury), was on the setting up committee and Board of Studies of the National Academy of Singing and Dramatic Art (NASDA), President of the Specialist Music Programme for its first six years, and is currently Chairman of Arts Canterbury and on the executive committee of the Christchurch Community Arts Council. The author, co-author or editor of thirty five books, mostly concerning music education, he is also a concert reviewer for The Press, Christchurch, and has written at various times for the New Zealand Listener, Opera, Opera, and publications of the International Society for Music Education. He participated in five conferences, in Tunis, London (Ont. 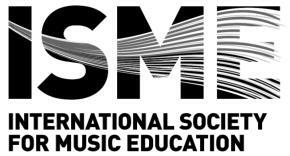 ), Canberra, Helsinki and Seoul, and at ISME Research Commission seminars in Gummersbach, Christchurch and Mexico City, and seminars of the Commission for Music in Schools and Teacher Training in Leningrad and Kyong-ju. Robin Stevens is currently a Principal Fellow at the Melbourne Conservatorium of Music, Faculty of the Fine Arts and Music at The University of Melbourne, Australia. He was formerly Associate Professor of Music Education at Deakin University, Melbourne. Robin has a long-standing interest in the history of music education, having completed a PhD thesis in 1978 on the development of music in schools in south-eastern Australia (New South Wales and Victoria) from 1848 to 1920. He has a particular interest in researching the development and dissemination of John Curwen's Tonic Sol-fa method during the nineteenth century in Australia, South Africa, and the Asia-Pacific Region. Robin has contributed historical entries to The Oxford Companion to Australian Music (OUP, Melbourne, 1997) and is co-editor and contributor to a book entitled The Origins and Foundations of Music Education: Cross-Cultural Historical Studies of Music in Compulsory Schooling Music (Continuum International Publishing, London, 2010) / The Origins and Foundations of Music Education: International Perspectives (Bloomsbury Academic, 2017). Robin was a member of the Steering Committee for the 2004-05 National Review of School Music Education in Australia and was subsequently a member and then chairperson of the Australian Government's Music Education Advisory Committee. He was a member of the History Standing Committee of ISME from 2005 to 2017.